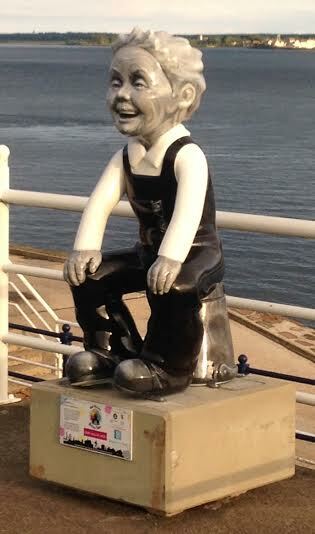 Over fifty 4ft unique Oor Wullie sculptures will be dotted around Dundee this Summer. This marks Oor Wullie’s 80th Anniversary. Earlier this week I came across one perched on the pocket park at the western end of Douglas Terrace beside the beginning of the coastal pathway leading to Grassy Beach. One down, more than 49 others to locate! Dudley D Watkins (1907-1969) who drew Oor Wullie and The Broons for the Sunday Post was a resident of Broughty Ferry. In 2013 his work received some official recognition when one of the first Blue Plaques awarded in Scotland was placed outside Winsterley, his former home in Reres Road.